After the Masai Mara, the Amboseli National Park is the most popular park in Kenya, where one of the most classic images of Africa can be seen: the view of Kilimanjaro. 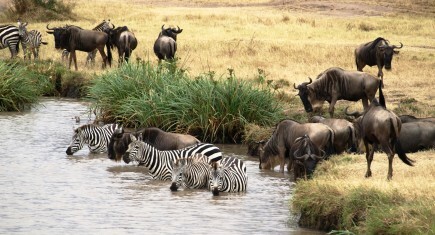 With 392 square kilometers Amboseli does not offer the diversity of species encountered in the Masai Mara. 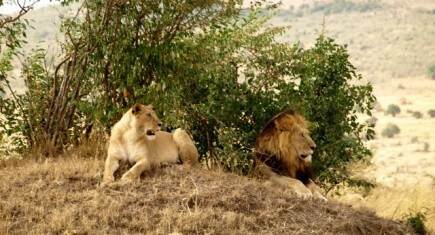 However, it offers a magnificent space for observing large predators. 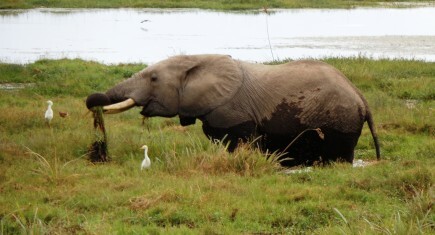 In the marshes of Enkongo, Narok, and Olokenya, herds of elephants abound and offer a possibility to observe in great proximity. 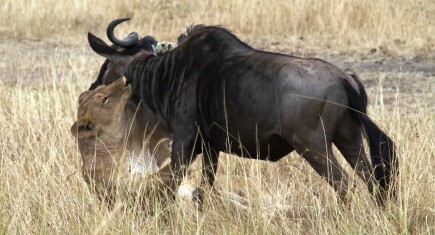 Among the fauna include buffaloes, lions, cheetahs, hyenas, Masai giraffes, and baboons. Pity that due to poaching, the last black rhinos were moved to Tsavo West in 1995. 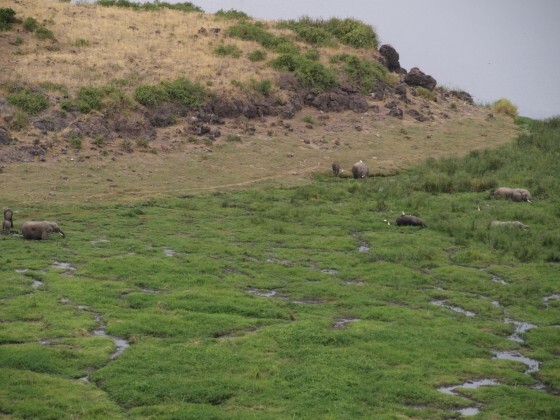 Unfortunately the park is at risk as a result of increased salinity of the water which reduces the vegetation, and the irresponsible behavior of safari drivers.